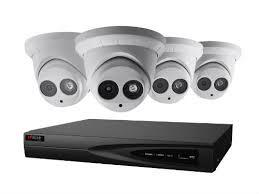 Closed-circuit television or CCTV has become a major security tool in today’s society. Due to its rapid growth, CCTV has become a and systems. We pride ourselves on our extensive knowledge of products, enabling us to specify the right system to suit our customer needs. We offer a broad range of effective CCTV solutions, bringing together high quality, crisp images with advanced and user-friendly storage, recording devices, along with networking and retrieval mechanisms. To enable this we work in partnership with leading manufacturers including Panasonic Honeywell, Sony, Pelco, Bosch, Grundig amongst many others. CCTV systems can be so effective in protecting premises and reducing crime if specified correctly. To ensure its success, it is important that systems are effectively monitored and maintained. Hamed Electronics provides an in-depth design and specification service, whilst offering after sales support including monitoring and maintenance, for new and existing systems.